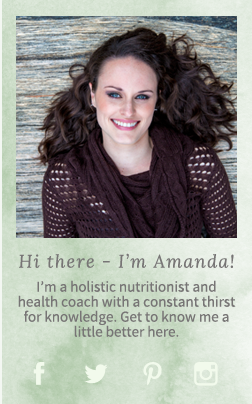 One of my goals with this blog is to present simple, nourishing food. To show anyone who may stumble across this little piece of the blogosphere that it is easy to make food that tastes amazing, is budget-friendly, and is healing to your body, whether you are the picture of health, or dealing with a serious health crisis. 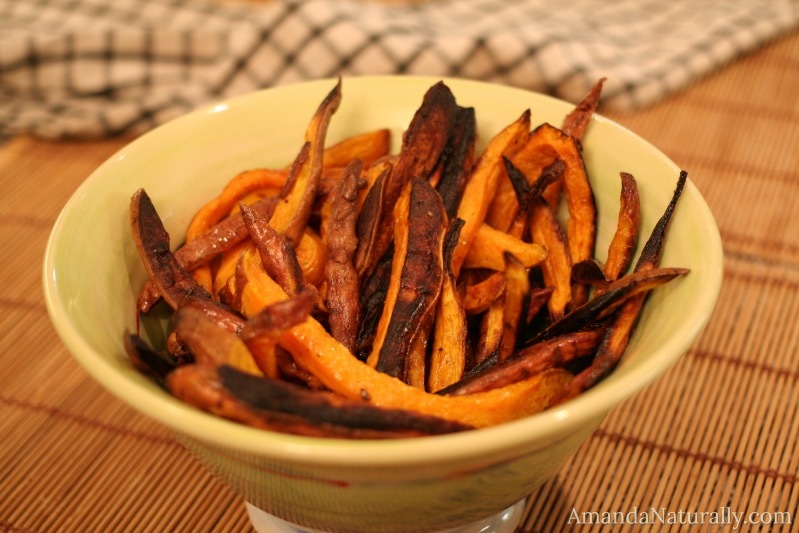 Making a good batch of sweet potato fries is an awesome skill to have. 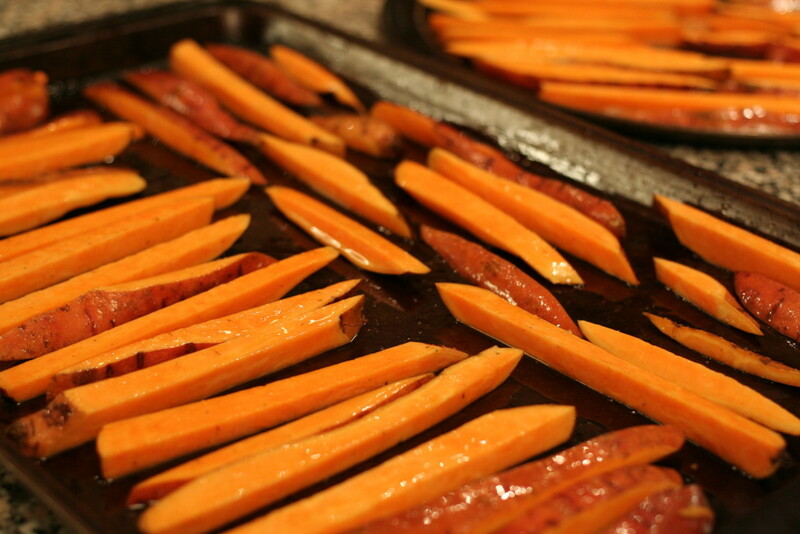 Sweet potatoes are very inexpensive and are on EWG’s Clean 15 list – so they are not a priority to be bought organic. 1. Use a liberal amount of fat. 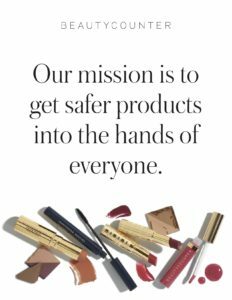 I beg of you – stop being afraid of fat! Fat is such an important part of the human diet – especially for women. The fat phobic nutrition era that we are slowly crawling out of, is based on cherry-picked and misinterpreted science and professional opinion. Just make sure you use a good quality fat! If you want to keep it vegan, use coconut or avocado oil. But trust me when I tell you that duck fat is hands down the best fat to use in this recipe, followed closely by lard. As long as the animal was raised properly, animal fat is not only not dangerous for you, but incredibly healthy! 2. Leave space between the fries. If you bunch them too close together, the steam that comes off the fries during the baking process makes them soggy and you don’t get that crispy outside layer that you’re going for. You’re better off using an extra baking sheet, than squishing all of the fries close together! If you do those 2 things, you’re good to go. From there, feel free to get creative with spices like chili and cumin. Or keep it classic with sea salt. Looking for a dip? I love mixing my homemade mayonnaise with a clean Sriracha sauce for a spicy dip. Which ever way you go with these, you can rest easy knowing that they are truly healthy for you! On top of that, they are compliant with paleo, the autoimmune protocol, low fodmap (if you keep the portion very moderate) and plant-based diets. But most importantly, they’re awesome – especially when making burgers! Paleo, AIP, Vegan. Delicious and Nutritious. 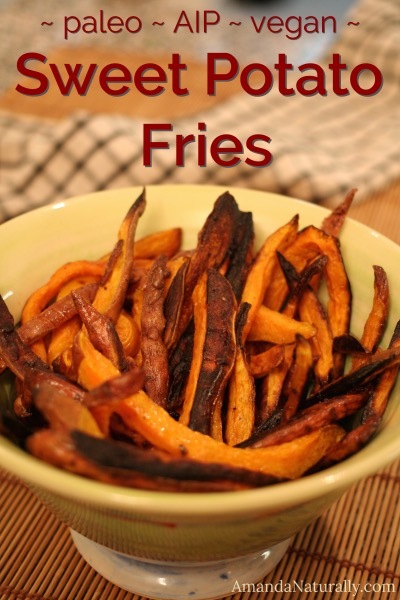 Perfect side dish for a grass-fed burger! 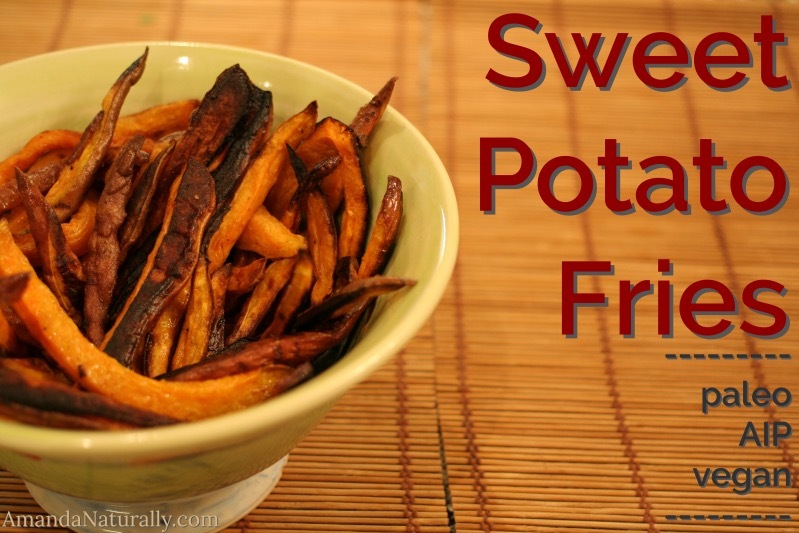 Slice sweet potatoes into fries. 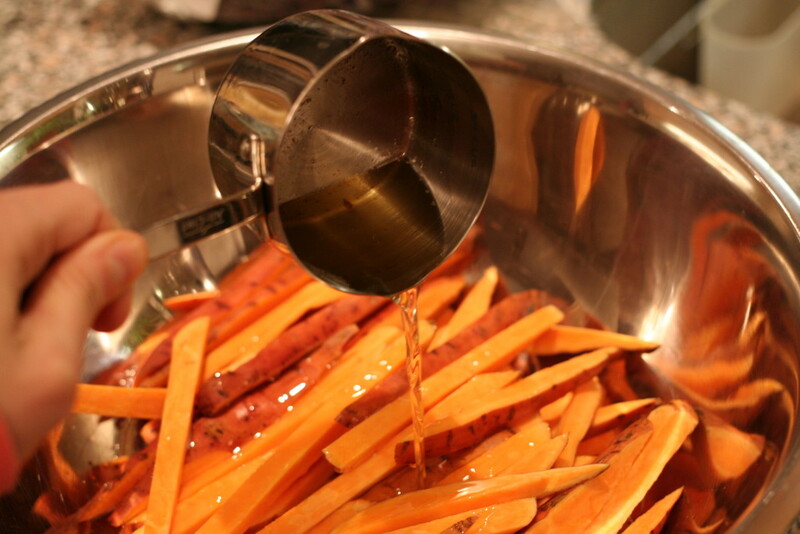 Toss in a bowl with melted fat and sea salt. Split evenly between 2 baking sheets. Leave space between every fry to prevent soggy fries. Bake for 40 minutes, flipping fries once. If your fries are particularly small, you might need less time. Or more time if they're wedges.